Hyundai has sold more than 100,000 units of the second-generation Genesis, just 18 months after the model launched in November 2013. The new luxury sedan achieved the sales landmark 10 months sooner than the first-generation model. Roughly half of all second-generation Hyundai Genesis sedans were sold in South Korea (52,661 units), while exports totaled 53,254 units. 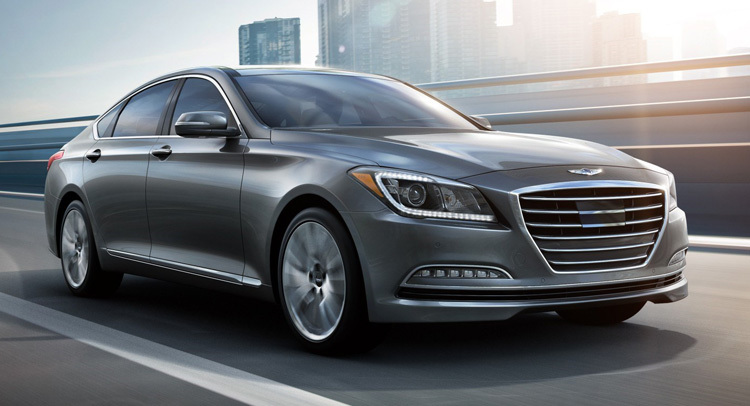 Combined sales of the new Hyundai Genesis are 105,915 units by the end of May 2015. Built exclusively in South Korea, the luxury sedan is exported to Chinese, European, Middle East, and North American markets. The Genesis is a success in North America in particular, currently occupying third place in the US midsize luxury sedan market. “Reaching this global sales landmark so quickly demonstrates Hyundai Motor’s technological expertise and success at positioning the brand as a credible producer of premium vehicles,” said Wonshin Chang, Executive Vice President and Head of International Operation Division of Hyundai Motor Company. The first generation Hyundai Genesis, introduced in 2008, achieved global sales of 250,000 units, introducing the brand to a new type of customer in domestic and foreign markets. With the second-generation model, Hyundai has broadened the appeal of the nameplate. In North America, the Genesis is offered with two gasoline engines, a 311hp 3.8-liter V6 and a 420hp 5.0-liter V8, with European markets only only getting the V6.